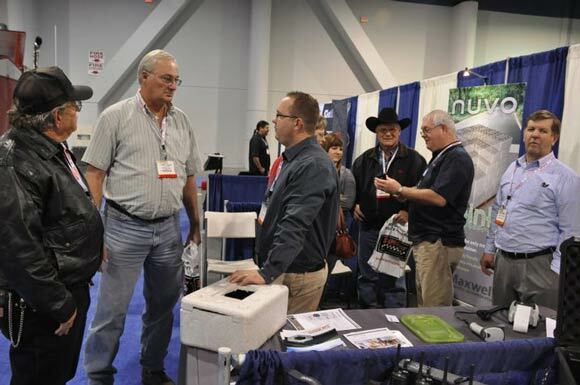 National Pavement Expo West, which has been held in Las Vegas for the last 10 years, will undergo a major overhaul for the 2011 show, according to Amy Schwandt, publisher of Pavement Maintenance & Reconstruction. In addition to a move to San Diego’s Town & Country Resort, NPE West has been renamed Pavement Live, will be extended one day and will include an opportunity for exhibitors to conduct live demonstrations of their equipment. The 2011 event will be held Wednesday, Nov. 30 – Saturday, Dec. 3. Schwandt said the live demonstrations will be conducted on two days, Dec. 1 and Dec. 2, in the afternoon. She said the show hopes to be able to offer demonstrations of sealcoating, cracksealing, infrared repair, sweeping, and pavement marking. Schwandt said milling, paving, and patching demonstrations are also a possibility, and details of all demonstrations will be released as exhibitors commit to the program. “Since 2000 the NPE West show has been an annual event for contractors in the western U.S. and we think the enhancements we’re planning will make it an annual event for contractors throughout the country,” Schwandt said. She said that in addition to adding live demonstrations, one of the advantages of adding a full day to the show is the expansion of the conference program. In recent years NPE West has offered 31 sessions but with the new format contractors will be able to choose from among 39 seminars and workshops. For regular updates join Pavement Maintenance & Reconstruction’s Facebook page (www.facebook.com/PavementMagazine) or visit the NPE West website starting in July.